Welcome back to the Chops blog. Today we’re celebrating the birthday of one of the most influential drummers of all time, John Henry Bonham. We’d like to celebrate his life and influence by sharing some of our favorite Bonham-related links we’ve found on the web. They include an article from Drum! Magazine on 10 ways to sound like Bonham, a video from his drum tech Jeff Ocheltree on how to tune and mic like Bonham, and some isolated drums tracks of him in the studio. Give the article a read, check out the Jeff Ocheltree video, then sit back and listen to the bombastic sounds and heavy grooves of John Bonham. Why should I attend a clinic? What’s the point when I can watch everything on YouTube? We’ve discussed this topic quite a bit over the years here at Chops, but not because we don’t see the value in attending a clinic. We’ve discussed it because we feel there are many reasons why people SHOULD attend clinics. We remember when we were kids, before so much media was available at your fingertips online. Music stores hosted clinics quite frequently, and were packed, sometimes needing to host them in a local school auditorium, gym, or ballroom at a local hotel! That was also when there wasn’t the assistance of easy online promotion. It was much more difficult to get the word out. Now, it’s very easy to promote clinics through many different avenues and notify many more people. But, it seems less and less attend clinics and many music stores abandoned them long ago because of low turnout. So, besides the obvious reason that music is better experienced live than on video, here’s a list of reasons of why clinics are worth attending. Education – You could learn a lot. There’s a lot of information shared at clinics. You might be able to see someone play drums online, but you don’t get to hear the explanations of how and why they do what they do. Clinician Interaction – There’s always an opportunity to ask questions. You might want to ask about a certain groove from a recording and how they came up with it. You might even ask about tuning, warmups, etc. There’s usually time after the clinic to allow you the opportunity to meet them, get a picture, and ask any other questions you might have. Peer Interaction – Clinic attendees have a common interest and it’s a great opportunity to meet and talk to others who enjoy music the same as you do! Inspiration – This is the most important. Live performances, whether it be a clinic or a concert, can inspire you. We were all inspired at one point to start learning the instruments we play. Listening and watching great musicians play music at the highest level inspires us to keep playing, and maybe try new things. I remember that feeling when I was younger, attending a clinic or concert and wanting to run straight home and play my drums. I feel EXACTLY that same feeling to this day. This cannot happen on YouTube. You have to be there live to feel it. 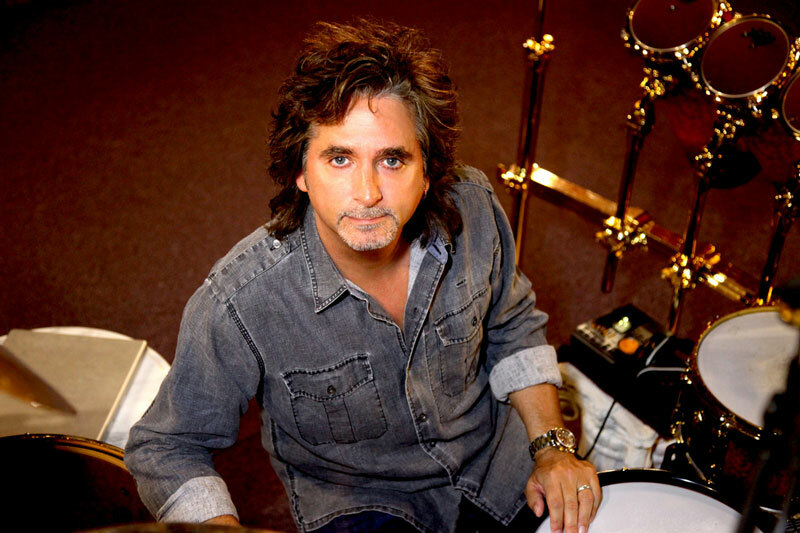 We have Todd Sucherman in clinic here at Chops Percussion this Thursday, May 26th. I can’t wait to learn some new tricks, talk to some drumming peers, and feel that renewed inspiration all over again. Attend a clinic so you can learn, interact and be inspired. You won’t regret it. We’re really excited to have Todd Sucherman back to do a clinic at Chops Percussion on Thursday, May 26th at 6:30pm. The last time he was here was December of 2011. If you were’t here then, be sure not to miss him this time around. Todd’s clinic was one of my favorite clinics that we’ve hosted here at Chops. Not only is he a master of technique with monster chops, but he’s extremely musical in his approach to the drums. The feel that he had on every thing I heard him play that night was spot on and I can’t wait to hear him again! The picture below shows the kit that he used in 2011 in the store. Be sure to ask Jeff Huffman about the snare drum in this picture. 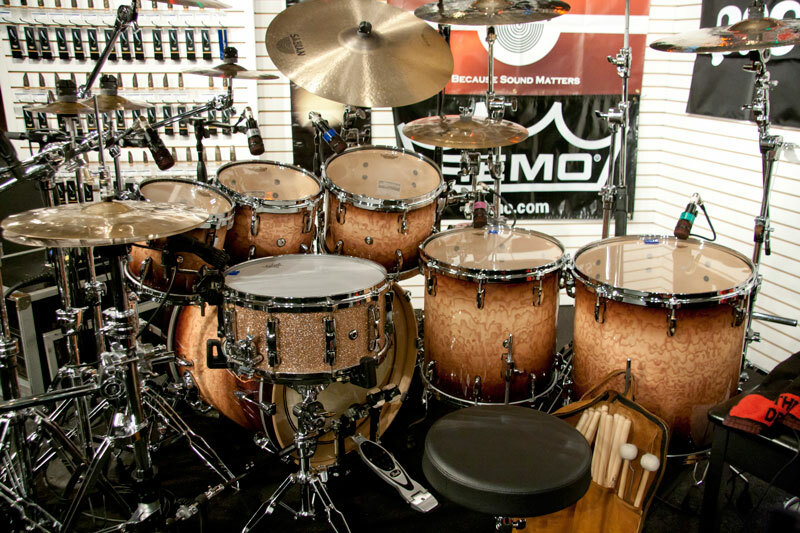 Contrast that with the video below of the kit he’s currently using on the Styx tour. Todd personally gives you a tour in the video below. Check out his YouTube channel or his Facebook page and watch the most recent videos he’s made of some recording that he’s been doing. This is just a taste of what you’ll see live. Do yourself a favor and show up to the clinic on May 26th. It’s free and you’ll learn a ton from this incredible musician. Todd Sucherman Clinic – 5/26/16! The amazing Todd Sucherman will be in Chops for a clinic on Thursday, May 26, 2016. Start time will be 6:30pm. Doors will open around 6:00pm. Learn more about Todd Sucherman. Our demo list has been refreshed for the May Transmission. 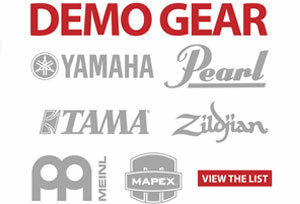 We also combined the cymbal demo page with our main demo page. All demo items are now in one place. Follow the link below to view what’s been added and sold! View the list on our website. By now you have probably heard of the passing of a true innovator in the music world, Remo Belli. There have been a flood of great tributes to him and his career coming across social media. We collected a few that we thought did a good job in telling the story of Remo and everything that he has meant to the world of percussion and beyond. By now you have probably heard of the passing of a true innovator in the music world, Remo Belli. There have been a flood of great tributes to him and his career coming across social media. Below are a few that we thought did a good job in telling the story of Remo and everything that he has meant to the world of percussion and beyond. This is a nicely written tribute from the Remo Company Family as well as a very informative obituary. The National Association of Music Merchants does a great job of tracking the history of the music products industry. 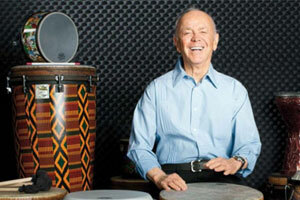 The have a great interview with Remo Belli in their archives. This is an article that Jeff Huffman shared in the Chops Transmission back in April. It’s a quick read that covers quite a bit of information on Mr. Belli. Modern Drummer put up a great video interview with Remo that’s also worth watching. You can find this on their Facebook page.